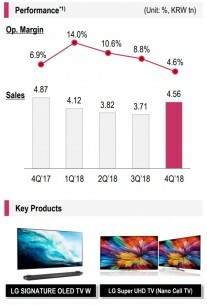 LG is doing great – it just announced a record yearly revenue of $54.4 billion and record profit of $2.4 billion, 10% higher than in 2017. The mobile division is weighing it down, however. 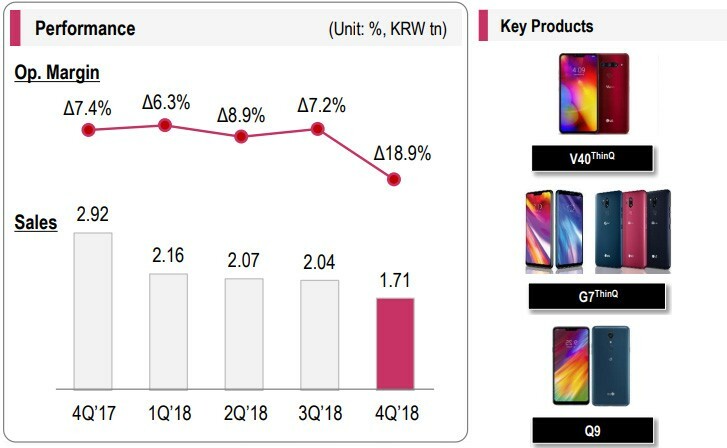 This year LG will rely on operator-driven markets (North America and Korea) for stable sales and will push 5G phones and devices with “different form factors” to try and go back in the black. 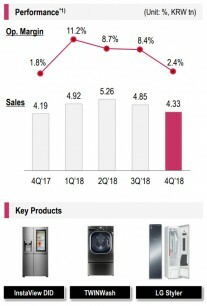 LG Home Appliance also posted a record profit of $1.35 billion and was LG’s strongest performing unit in 2018. The LG Vehicle Components Company took in $1.24 billion, the highest in the division’s history. 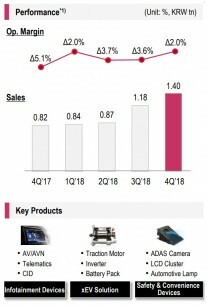 This is attributed to the high demand for infotainment hardware and a strong performance of ZKW. LG acquired 70% of ZKW’s shares in 2017 for €1.1B, the largest acquisition in the Korean company’s history.